There is no better way to get a look at Lamaze International and understand what is behind our childbirth education program than the Lamaze Six Healthy Birth Practices. The Lamaze Healthy Birth Practices simplify birth with an approach backed by research that helps alleviate fears and manage pain. We believe that everyone benefits from an informed pregnancy and birth. Our evidence-based Six Healthy Birth Practices are the basis of Lamaze education, which teaches the safest and healthiest practices and the risks of interfering with the normal course of pregnancy and birth. Download the Healthy Birth Practices booklet here. The Lamaze Healthy Birth Practices are also available in eleven languages: English, Mandarin, Russian, Spanish, Portuguese, Czech, Polish, Romanian, Greek, Arabic and Hebrew. What Sets a Lamaze Certified Childbirth Educator Apart? The Lamaze Certified Childbirth Educator (LCCE) credential is internationally respected and the only childbirth educator program that has passed rigorous standards set by the National Commission for Certifying Agencies (NCCA). 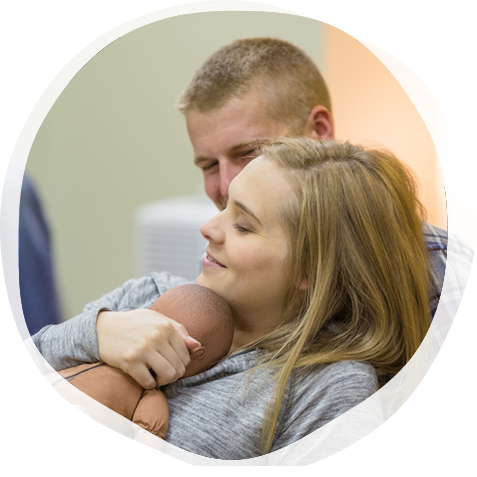 The Lamaze certification program has been designed to meet the highest professional standards, with quality education offerings that help candidates develop as skilled, trusted LCCE educators. These six competencies represent a comprehensive set of values and skills that LCCE educators foster and consistently demonstrate. Promotes the childbearing experience as a normal, natural, and healthy process which profoundly affects women and their families. Assists women and their families to discover and to use strategies to facilitate normal, natural, and healthy pregnancy, birth, breastfeeding, and early parenting. Helps women and their families to understand how complications and interventions influence the normal course of pregnancy, birth, breastfeeding and early postpartum. Provides information and support that encourages attachment between babies and their families. Assists women and their families to make informed decisions for childbearing. Acts as an advocate to promote, support, and protect natural, safe and healthy birth. Designs, teaches, and evaluates a course in Lamaze preparation that increases a woman’s confidence and ability to give birth.